When searching for heating and cooling solutions, many choices exist. 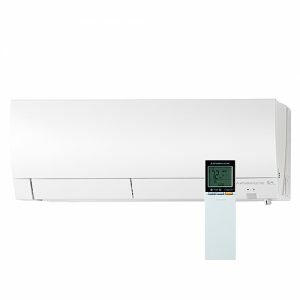 However, the practical benefits of a ductless system, or mini split, can be an ideal solution because of their cost-effectiveness, size, convenience and abilities to heat, cool and save. Known for circulating air in places without vents in your home, ductless systems don’t require ductwork, and they can be advantageous for older and new homes alike. Regardless of your home’s age, ductless heating and cooling systems are versatile, efficient and smart. Here are five reasons, and why your home might be a good candidate for this option. Approximately half the cost of a central heating and air-conditioning system, ductless systems are perfect because they don’t leak Air (Infiltration or pull air in from outdoors), and they fit in with a home’s natural look. Add in significant savings from not having to pay for duct work and labor, this option is extremely economical in the long run — especially in cases where homeowners don’t have the budget or ability to connect to an existing central heating and air system. Finally, because ductless systems only heat and/or cool specific areas without vents such as a sunroom, additional savings on monthly utility bills can be reaped. Ductless systems are ideal for smaller homes, apartments, attics, basements, guesthouses, garages and condominiums. They are wall-mounted and designed to blend into areas with little to no effort. Simply put, ductless systems are compact, but that doesn’t make them any less powerful when it comes to weathering Indiana’s seasonal climate. While ductless systems provide comfort during the summer, it doesn’t mean they stop working when it’s cold. With help from a built-in heat pump, the need for an additional heating system is unnecessary. This alone will save time and money. By absorbing heat from the air outside and bringing it inside, the result is year-around comfort, no matter what Mother Nature brings. What’s more, they can be installed in about a day, and they’re convenient, given they can be unplugged when not in use. When we say ductless systems are green, we aren’t talking about color. Instead, we’re referring to the environmentally-friendliness factor. With today’s increased focus on energy conservation and saving Mother Earth, ductless systems are a fantastic alternative because they send heating and cooling exactly where they’re needed most, and without needlessly wasting energy. According to the United States Environmental Protection Agency, a ductless system on average can save homeowners between 20 to 30 percent per month. Who doesn’t love saving a little green and not harming the environment? Because ductless systems only require drilling a small hole into a wall, you can be reassured knowing that your home’s architecture will never be compromised. Furthermore, when considering home appreciations, ductless systems will always preserve a home’s value. Plain and simple, ductless systems are ideal, offering greater control and a superior level of comfort and convenience at a very affordable price. If this sounds appealing, your home may be a candidate for a ductless system. For more information or to schedule an estimate, contact us today.